We are offering Grooming raketo our client and our product is made of good quality. - Blades are constructed of carbonized steel for long edge life. - Fits Oster A5 and Wahl KM Series. 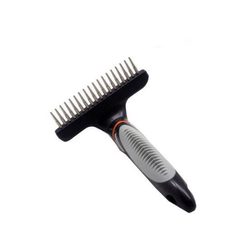 · Do not use excessive force when combing and make sure your pets coat is completely dry before using. · Directions: Gently brush with the natural direction of your pets coat. · Always brush your pet before bathing because water may tighten the existing tangles. - The lowest point of this table is 25cm (8.5), making it one of the lowest in the world, providing easy step-on access for pet, including mature, large and infirm animals. - World top class linear actuator provides smooth vibration free operation and long-term reliability. - Innovative X-style frame is stable, powerful and quiet. - Precision-ground Self-sharpening High Carbon-steel Blade. - Powerful and Long-life Vibration Motor. 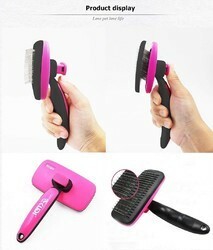 - Accessories for Easy Hair Cutting. Click on the link to download the press release, postcard.